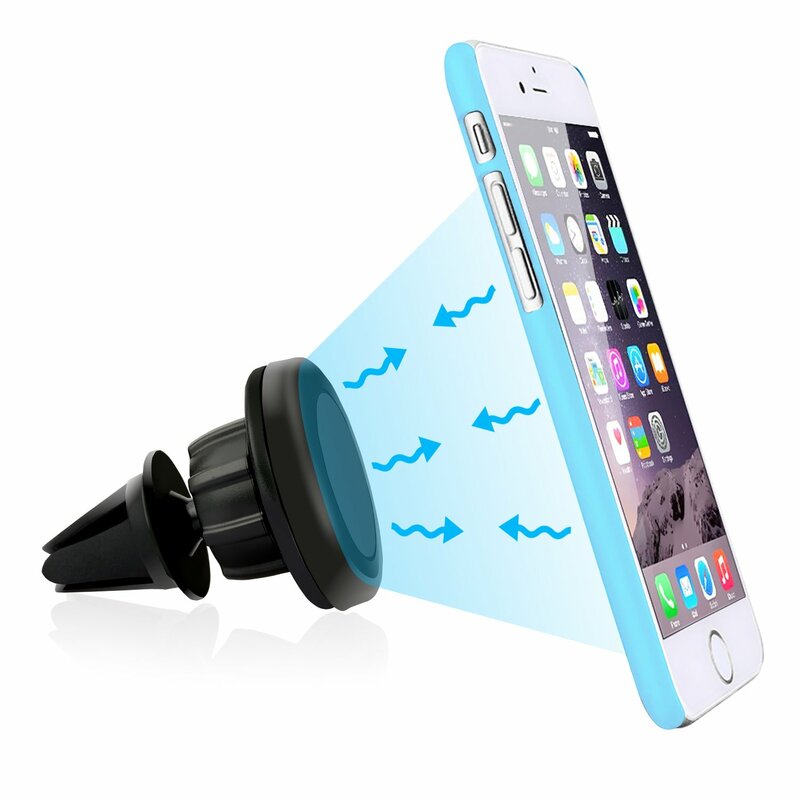 I am impressed with this air vent car mount. The magnet is super strong and the best part is that this can be 360 degree rotated to accommodate different angle views. It can also be used as iPhone stand on a table. This car mount stay secured in air vent and it will fit with all other cars as well. Though, it will block the air blowing from the vent, and you definitely don’t want the hot air blowing directly and heat up your phone. You might want to close the air vent first to allow the air coming out from different vents. Even though it attaches to air vent, it can be easily moved up or down when you adjust the direction of the air vent. Also, it doesn’t work with all car due to the location of the vent, for example I have a honda civic and the wheel will block the view of the phone because the air vent is located right behind the wheel. In the video, I test the car mount in my Odyssey and it kind of stand in a way of the shift knob.